Dallas-based physician Melissa D. Tonn, MD, has an extensive academic background that prepared her for her work as a clinician and her role as president and chief medical officer of OccMD Group P.A. After earning a bachelor’s degree at Rice University, she attended medical school at the University of Texas Health Science Center in San Antonio and then completed residencies at Baylor College of Medicine and the University of Texas Health Science Center in Houston. Melissa Tonn, MD, also holds a master of business administration from Rice University and a master of public health from the University of Texas School of Public Health in Houston. The largest dedicated nonsubscriber medical management company in the country, Dr. Melissa D. Tonn’s company OccMD has worked with the majority of nonsubscriber businesses in Texas. The company, which is headquartered in Dallas, offers services to large employers who opt out of workers’ compensation. Dr. Tonn's spouse is the president of PartnerSource, a wholly separate entity that conducts business in full disclosure to its clients. 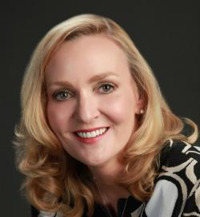 In addition to her work managing OccMD, Dr. Melissa Tonn also has experience as an adjunct professor at the University of Texas, School of Public Health and consults large corporations in the areas of employee health and wellness, disability management, and workers’ compensation, among others.